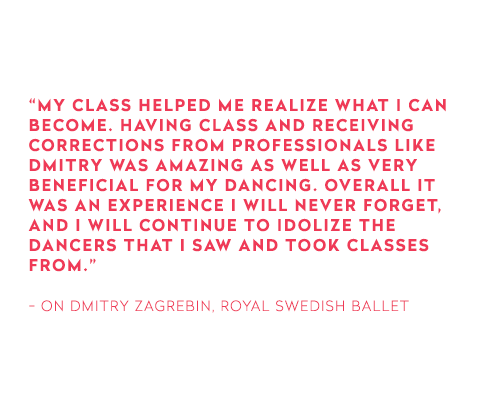 The mission of Ballet Sun Valley’s Education Program is to inspire young ballet students by enriching their dance education through providing small classes taught by professional ballet dancers and ballet school faculty members. We are thrilled to announce that this year’s Education Program will be expanded to a three-day program with instruction in all levels of ballet, contemporary dance, and choreography taught by dancers from the San Francisco Ballet and faculty from San Francisco Ballet School. The San Francisco Ballet School is ranked among the top ballet schools in the world. The San Francisco Ballet School faculty and dancers represent the pinnacle of this art form. This year’s program will overlap with Festival 2019 and take place on July 5th, 6th and 7th. This once-in-a-lifetime opportunity will be offered to students who are selected to participate. 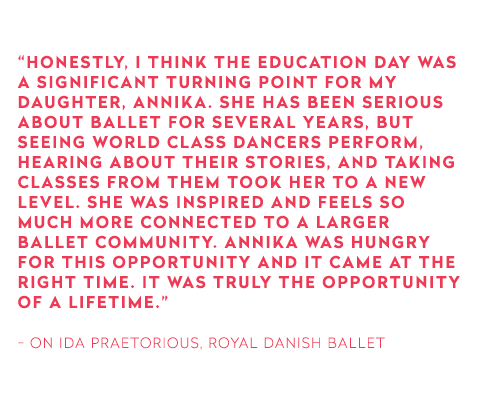 The goal for this program is to provide young dancers with the memories, experiences, and inspiration to reach for the next level—whether that is a career in dance or a life enriched by the discipline, commitment, graceful movement, healthy exercise, and knowledge of one of the world’s most beautiful art forms. Thanks to the generous support of Ballet Sun Valley sponsors, this opportunity is offered to accepted students free of charge. The 2019 Education Program will include classes for Beginner through Advanced students. All Beginner classes will be open to applicants with some validation of previous introductory ballet interest and exposure. 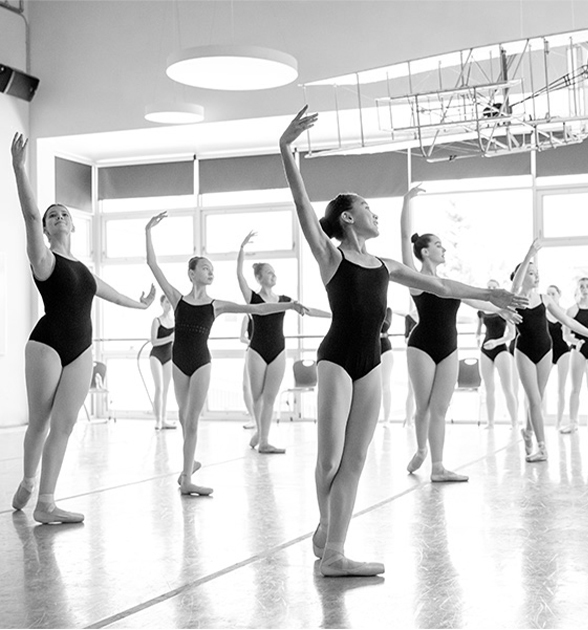 Classes for Intermediate and Advanced track applicants will include Ballet, Pointe, Variations, and Choreography. This combination of classes is designed as a Master Class Series, with the hope that students will be able to attend most, if not all, of the Program classes in order to maximize the benefit of this special opportunity. All students need to complete a SlideRoom application by clicking the button below and Advanced will also need to submit a video in the application. Details of the video submission are included in the application. 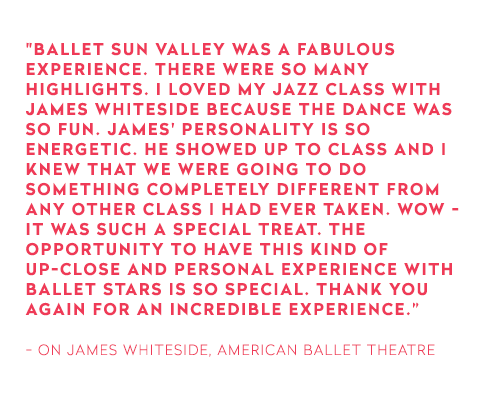 In addition, each selected student will also receive a ticket to the two Ballet Sun Valley Festival 2019 performances on July 5th and July 7th in the Sun Valley Pavilion. One ticket for Pavilion seating and one ticket for lawn seating. All students are also invited to attend a discussion with Helgi Tomasson, Artistic Director, Principal Choreographer of San Francisco Ballet and one of the most famous living dancers from the Balanchine years at New York City Ballet. Other Education Program activities will be updated over the coming months. Please check the website or sign up for our newsletter. Please note there is no guarantee that by submitting this application you will be selected as a participant. You will be notified by the reviewing committee if you have been selected to participate, and for which classes. 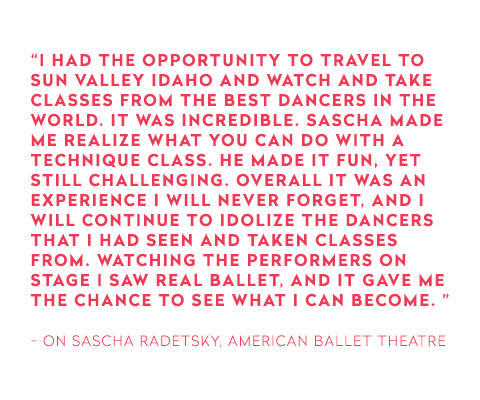 Questions should be directed to Christina Price, Education Program Coordinator, who can be reached by email at christina@balletsunvalley.org or by phone at 208.481.0385 or 208.727.7437. Already planning your visit? Here are suggested lodging options for your stay.